250 M2 apartment air-conditioned, very quiet, recently renovated, 3 large bedrooms (one can be completely independent), 3 bathrooms, very large living room, dining room with very large table, desk and kitchen. You will enter by the magnificent Place du Palais des Papes (elevator); the Palace of the Popes car park is a few steps away. Wonderful location and very comfortable spaces! 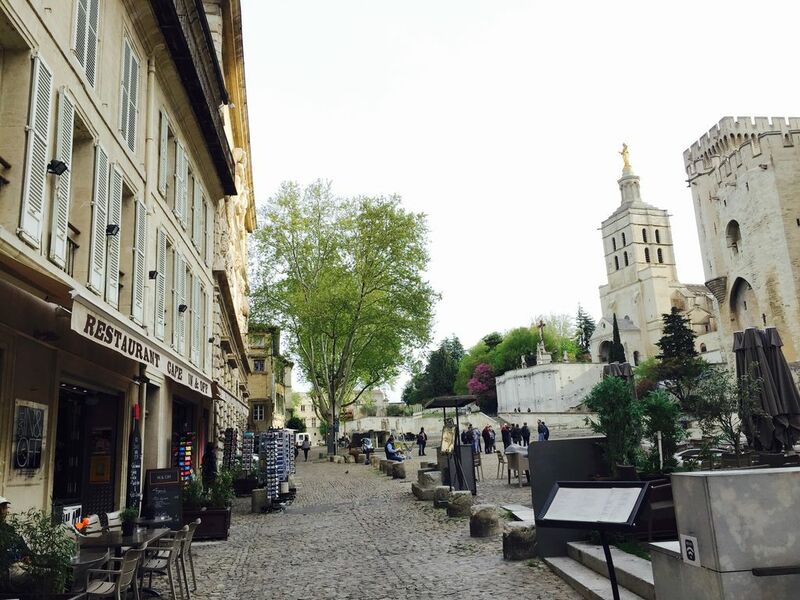 Perfect place to stay in Avignon! We enjoyed our stay immensely. This apartment is in a fantastic location, very secure and quiet, despite being right at the Palais des Papes. It's a beautifully appointed and very large three bedroom , 3 1/2 bathrooms, sparkling clean with all the amenities. The owner gave us lots of great information on Avignon and where to drive in Provence. She also left notes everywhere on how to operate the small TV, the espresso maker, washer and dryer etc. Every morning we walked to Les Halles, one of the best markets in France . This is a must in Avignon because the grocery stores are really only for staples. Prior to making this reservation I contacted the owner and she responded immediately and we stayed in touch until our arrival. . My husband and I strongly recommend this apartment . Caroline greeted us upon arrival even though our travels brought us in very late in the evening. The apartment Is lovley and very comfortable. I would highly recommend to everyone. Located in the Papal Palace Square and jtst a few stros to do many restaurants and coffee shops! We were a group of six friends, and this apartment, with its 3 double bedrooms and 3 bathrooms, was ideal for our stay. Great for sightseeing and visiting museums and art galleries etc. The apartment is directly opposite the Palais des Papes, and is well placed for restaurants, bars and shops. Inside the grand, elegantly furnished apartment, you can relax in the peace and quiet, but just be steps away from the bustle of tourists. There is a private lift to the apartment, which is on the second floor, as well as stairs. There are several levels and steps inside the apartment itself, and one bedroom is quite separate from the others. Superb dining room, with very large table for dining at home, if you wish. The owner was most friendly and welcoming, and extremely helpful in giving us information about the area. We came by Eurostar from England, which is a fast and easy journey, or there are car parking facilities nearby. Simplement parfait en terme de localisation, d’ameublement, de propreté et de gentillesse. La localisation est idéale, en face du palais des papes. L’acceuil est à la hauteur de l’appartement: tout simplement parfait. Je recommande cette location à tous visiteurs.